Always intrigued with history, I recently ran across a name I had never heard of and a story that brought the power of prayer up close and personal. The name? … Rees Howells. The story? … how the power of prayer helped turn the tide in the Battle of Britain. Rees Howells seemed destined for a typical life in a small mining town in Wales. A man of deep faith, he began to sense that God was calling him to leave the mines, committed to prayer and intercession. He devoted himself to God, being a missionary, and establishing the Welsh Bible College. Throughout his life he felt called to pray for Jews and Israel. In the 1930’s, reports from Europe became more frequent about the plight of the Jews. As Adolf Hitler’s Nazi regime gained control over much of Europe, a new focus of intercession was placed on Rees Howells’ heart. It was in March, 1936, that Mr. Howells began to see clearly that Hitler was Satan’s agent for preventing the gospel going to every creature. At first, he believed that God would prevent war altogether, but as the clouds over Europe grew darker, Mr. Howells still believed that God would intervene and prevent war. He stood to his prediction right up to the day of the declaration of war between Britain and Germany on September 3, 1939. That declaration shook him and those with him, ever more determined, to their knees in prayer. Through all the years of the war, the whole College was in prayer every evening from seven o’clock to midnight, with only a brief interval for supper. They never missed a day. This was in addition to an hour’s prayer meeting every morning, and very often at midday. As news from Europe grew increasingly bleak, Britain’s involvement became more dire. A note from Mr. Howells’ journal on May 30, 1940, 7.30 p.m. “From a worldly standpoint there is no hope of victory; but God has said it. I could not come tonight and ask Him to intervene, because we have already said that He is going to intervene. Instead of bad news about our soldiers, if He is on the field of battle, He can change that and make it very good news. Oh, for God to lift us up tonight! We are not to run into any panic thinking the Nazis are going to win: Germany must be delivered as well as England and France. We may have to go through far greater sufferings yet, but I am not going to doubt the final issue. We state in plainest terms: The enemy will not invade Christian England.” Then came the Battle of Britain. Many lives were devoted to intercessory prayer day after day as they stood in the gap for the deliverance of Britain. We are living in equally perplexing and turbulent times in our personal lives, our nation’s future and worldwide threats. We need people who will devote to intercessory prayer to stand in the gap for innocent lives, for social injustices, for our nation’s divisions, upcoming elections, and genocide occurring around the world. Will you join me for that purpose? James 5:13-18 13 Is anyone among you in trouble? Let them pray. Is anyone happy? Let them sing songs of praise. 14 Is anyone among you sick? Let them call the elders of the church to pray over them and anoint them with oil in the name of the Lord. 15 And the prayer offered in faith will make the sick person well; the Lord will raise them up. If they have sinned, they will be forgiven. 16 Therefore confess your sins to each other and pray for each other so that you may be healed. 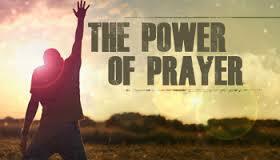 The prayer of a righteous person is powerful and effective. 17 Elijah was a human being, even as we are. He prayed earnestly that it would not rain, and it did not rain on the land for three and a half years.18 Again he prayed, and the heavens gave rain, and the earth produced its crops.